In stock 117 items in stock. Sewable LED Ribbon is quite possibly one of the easiest ways to incorporate simple illumination and color effects into your next e-textiles project! 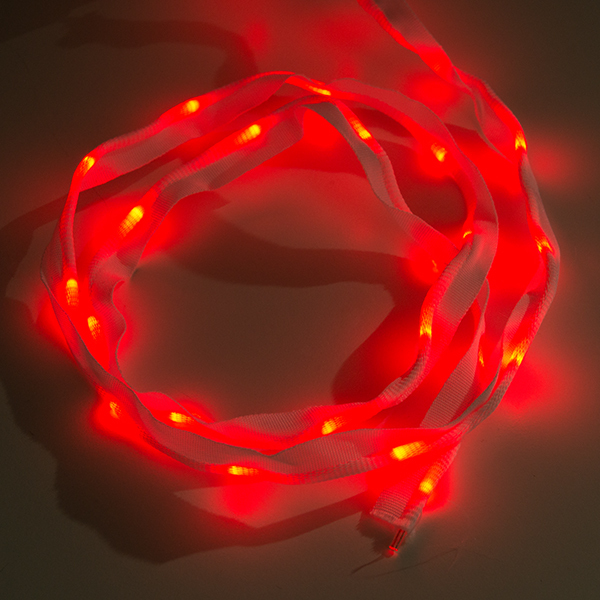 Each strand of this ribbon is a meter long with 25 small red LEDs. These LED ribbons are highly flexible, foldable, and can even make knots. Unlike traditional LED strips, the LEDs in these ribbons have 360 degrees of luminosity, so you can see them no matter how they are positioned or sewn! Attaching the ribbon is easy; the sewable tabs on each ribbon allow for a 1/4" area that can be sewn down onto clothing, accessories and more. Attaching power to the ribbon is also easy; just strip the protective sleeve below the fabric and connect the exposed leads to power. 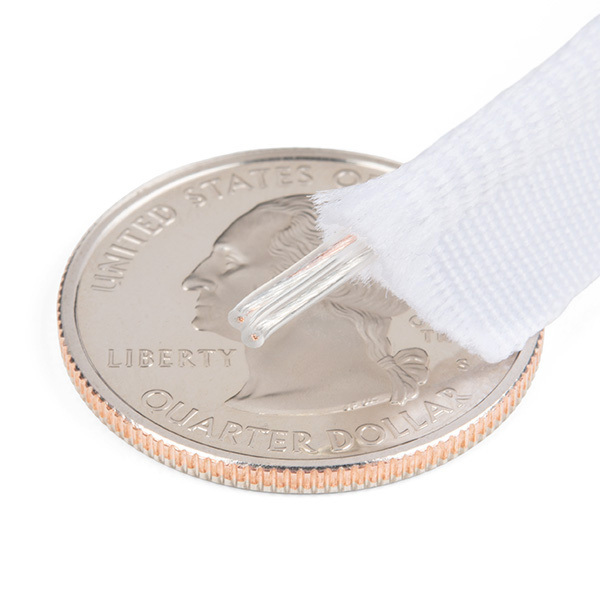 The LED ribbon requires an input voltage of 4.5V with a maximum current of 250mA. This skill defines how difficult the soldering is on a particular product. It might be a couple simple solder joints, or require special reflow tools. Skill Level: Noob - Some basic soldering is required, but it is limited to a just a few pins, basic through-hole soldering, and couple (if any) polarized components. A basic soldering iron is all you should need. Whether it's for assembling a kit, hacking an enclosure, or creating your own parts; the DIY skill is all about knowing how to use tools and the techniques associated with them. Skill Level: Rookie - Basic hand tools are required and instructions will allow more freedom. You may need to make your own decisions on design. If sewing is required, it will be free-form.